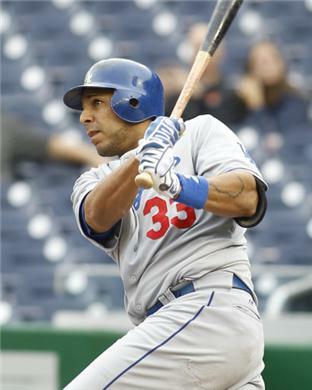 The Dodgers are expecting to bring back Juan Rivera. In 62 games with the Dodgers this season, he batted .274 with 5 homers and 46 RBI's. The Dodgers have reached a tentative agreement with free-agent outfielder Juan Rivera on a one-year contract with a 2013 option for approximately $4 million guaranteed, according to a baseball source. If your over 30 and at the end of your career will take you.. always have always will.. oh and if your good and your young will lose you to free agency.. always have always will. ned loves to overpay for good second halfs. rivera is not worth 4 mil. i can't imagine anyone else would have given him as much as 2 mil.